Hiring an experienced leader on a temporary basis allows businesses and companies to explore all the immediate challenges and law down a plan of action for future stability and success. 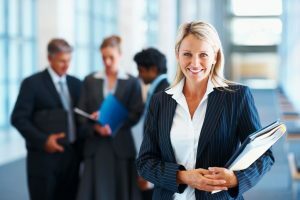 While it’s only a short-term hire, an interim professional, depending on experience, can have a long-term impact on growing the business and managing upcoming changes. Most businesses, regardless of size, manage their resources with caution. While they may not always have in-house managers with the right traits and abilities available, hiring an interim manager in their stead is often a popular and cost-effective solution that offers a variety of benefits. For instance, an interim manager can be sourced and start work within an extremely short time period, typically starting within a week of being hired. Interim managers are qualified professionals that have years of experience on their end. Normally, they have worked their way up to seniority in their specific field, and then chose to focus on interim work. Therefore, these managers may not only have significant experience, but an understand of how to implement their skills and knowledge in an effective manner in a short-term assignment or project. Most interim managers are independent and do not require an agenda to provide an honest and objective perspective and opinion. Interim managers also provide their services at a daily rate, so the cost can be easily calculated. Rates are often based on achievement of measurable goals and objectives rather than just attendance. Compare this cost to hiring a permanent employee or a senior manager that would indefinitely be on salary pay, an interim manager can save you money and yield and excellent return on investment. Interim managers, such as Lyle Charles for example, can be a productive addition to any team. Whatever field your company is in, a seasoned expert that knows how to handle challenges and move forward in a productive manner is always worth the investment.